Does Your Immigration Lawyer Pasadena Have Your Best Interests at Heart? Does your immigration lawyer Pasadena have your best interests at heart or are they just looking to make a quick buck off your case? Today we’re talking about how you can tell whether your attorney is really dedicated to helping you to win your case. Your attorney should always work with your best interests at heart. It’s important to know whether your attorney is truly doing what is best for you, but before we talk about that, we need to touch on a few things. You see, sometimes when working with an immigration lawyer Pasadena, it’s easy for things to get misinterpreted. There are a few areas where this type of miscommunication is common. So, before deciding that your attorney is not working in your best interests, be sure that none of these factors are in play. Problems with communication – Are you misinterpreting what your lawyer is saying because of a language barrier? If this could be the case, bring an interpreter to your next appointment and see if you get a better feeling about your relationship with your attorney. Your lawyer just doesn’t know what they’re doing – Although it’s no real consolation, it could be that your attorney genuinely is doing their best for your case, but they are simply incompetent. If this is the case, of course, you should look for a new immigration attorney, but know that this is a result of their lack of knowledge and not their lack of desire to help you. Contention over fees – Are you upset over the fees that you are being charged by your attorney rather than their quality of representation? It’s not uncommon for clients to be upset over the fees that attorneys charge for their services, but don’t mistake high legal fees for a lack of desire to help you with your case. As your representative, your immigration lawyer Pasadena should always keep you in the loop so that you know what is happening in your case. If your attorney does not let you know what is currently happening in your case or won’t answer questions about your case progress when asked, consider whether they are really working in your best interest. Discussing finances is never pleasant, but it’s important that you know what type of financial burden you are facing. If your attorney is reluctant to answer questions about the projected cost of your case or cannot answer where exactly charges on your bill have come from, they may not be working in your best interest! Now, depending on your particular case, you may not have multiple options open to you, but it’s important that your attorney let you know that. If your attorney does not let you know what options are available to you when fighting your case, look for an attorney who does. It’s necessary that you have an attorney who is fully transparent and who can help you with every aspect of your case. There is no law that says your attorney has to be respectful to you, but if your attorney is condescending to you it creates an uncomfortable situation for you and could be a sign that your attorney is simply not working in your best interest or has no interest in your case. With this said, it is important to know the difference between a condescending attorney and an attorney who is having a bad day – is your attorney consistently rude and condescending or is this a one-time occurrence? Again, there’s no excuse for poor behavior, but everyone has a rough day once in a while! When facing new situations in your case – for example, appearing in court – it’s important that your attorney prepares you properly. Not only should your attorney tell you what to expect at those events, but they should also go over what you need to know and or say. If your attorney allows you to go into an upcoming situation unprepared, it’s time to consider finding a new attorney. When working for you, your attorney should always show up and show up on time both to your appointments and to any court dates. Yes, sometimes things run late, but if your attorney has your best interests at heart, they will call ahead and let you or the court know that something is causing them to run late. If your attorney is always late and has regularly let you don’t by not showing up, you need to look for another immigration lawyer Pasadena immigrants trust. Your attorney’s job is to HELP you, not cause you more problems, something they will be doing by consistently failing you! In Need of a Good Immigration Lawyer Pasadena? 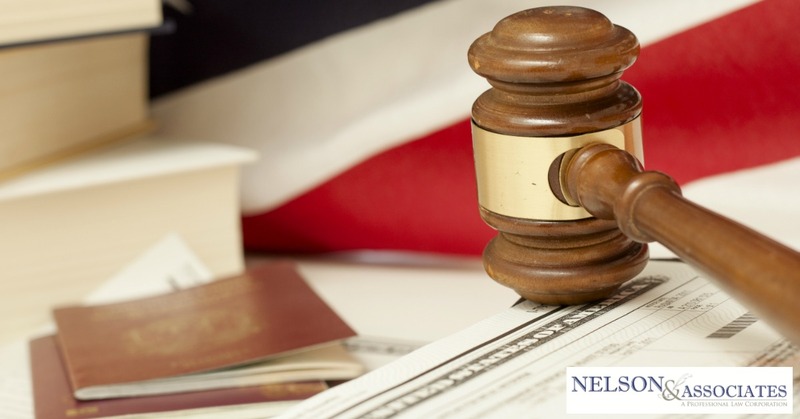 If you’re in need of a good immigration lawyer Pasadena trusts, Nelson and Associates can help! All you need to do is fill in our contact form online or pick up the phone and give us a call at 626-683-3451 to see how attorney Nelson can help you! Previous PostPasadena Immigration Help: 9 Most FAQ About Immigration to the U.S.
Next PostGreen Card Steps: How to Obtain Your Permanent Residence in the U.S.